A lot of expats talk about how moving abroad has helped them stay healthier and happier. 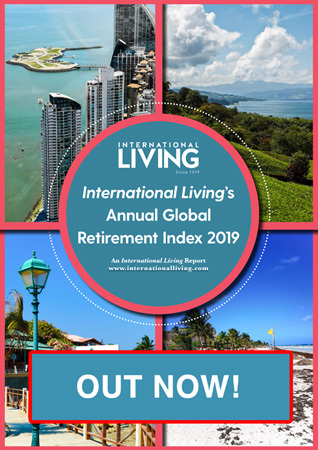 As it turns out, it seems that the combination of better weather, fresher food, less stressful lifestyle, and lower cost of living is generally good for you. I can say from personal experience that the beneficial health and wellness effects of moving to the right place abroad are absolutely real. But in my case, one of the biggest benefits comes, not from the weather or food or affordability, but from the sun. I’m largely a creature of habit, and one of my habits is my morning routine. I get up early, have a cup of coffee, and meditate for half an hour. I try to do this early enough when things are still quiet in our little village…it makes meditation a lot easier no matter what you’re meditating on. Like most villages in the world, ours naturally comes alive with hustle and bustle shortly after sunrise. And thanks to our location on the equator, here in Ecuador sunrise happens at pretty much the same time every day of the year. It starts getting light around 5:30 a.m., and the sun pops up over the shoulder of the mountains around six. Every morning of every week of every month of every year. This is terrific for establishing good morning habits. I no longer need the alarm to get up at sunrise. It happens naturally now, which in and of itself I find a terrific benefit to my physical and mental health. And since the sun and I are up, I may as well have my coffee and do my meditation like I should, right? About 6:30 a.m. or a quarter to seven, the buses are running, the garbage and gas trucks start their routes, the dogs start barking, alarms honk and whistle as businesses open their doors, and the village yawns itself awake. This routine suits me right down to the ground, and it never changes here in my little village. A rainy morning can delay the dogs and garbage men a bit, and the weekend sees the shops open a little later, but other than that, it’s completely dependable. I didn’t move to Ecuador to improve my morning routine. 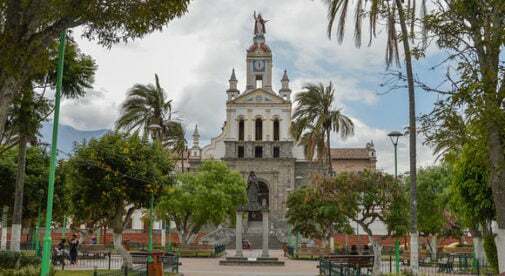 I moved to Ecuador for all the other reasons…the clean air and water, the relaxed lifestyle, the lower cost of living, the incredible weather, and the friendly, down-to-earth locals. But I soon discovered a fringe benefit…the kind of natural rhythm that makes healthy routines possible. Becoming attuned to those natural rhythms is easy in Ecuador thanks to its position on the globe. But in my experience, that kind of tuning happens in one way or another to most expats who trade the beat-the-clock lifestyle in North America for places where time is measured more by the sun, the moon, the tides, and the cycles of the earth itself.